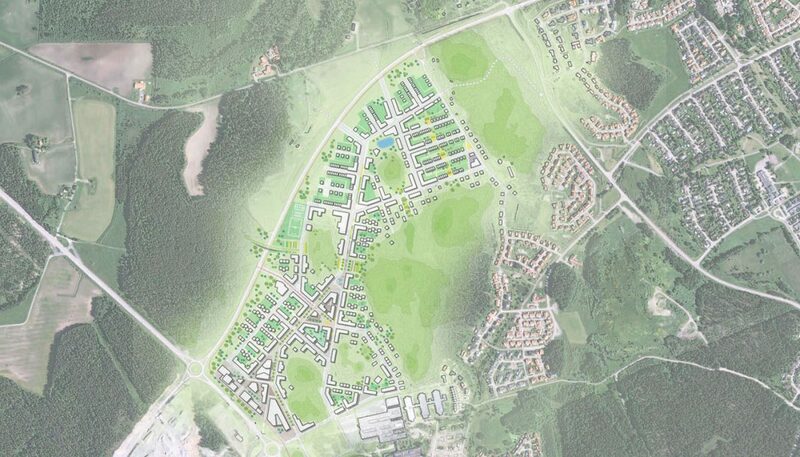 Sätra is a new planned neighborhood in the outskirts of Västerås. The location is beautiful, with open meadows and wooded hills, but in a fragmented urban context. Sätra is a bit disconnected to the city center, situated between islands of low scale housing areas, next to Erikslund, an external shopping center. 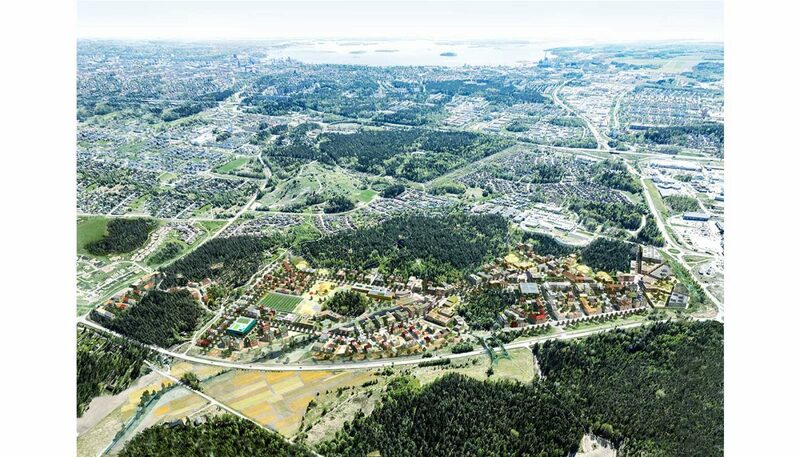 The location has great potential with good connections by car and bus, and on longer term, Sätra together with Erikslund, can develop into a cohesive urban development with mixed functions; commercial as well as housing and workplaces. After a invited competition two of the proposals was selected. 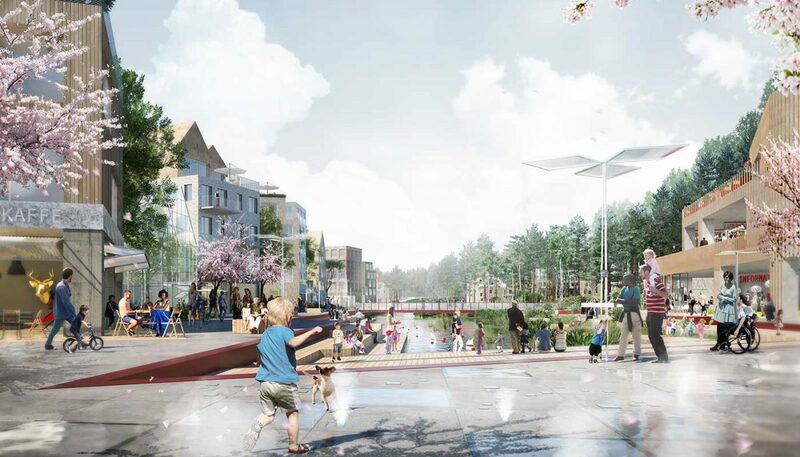 Tovatt Architects and Planners and Mandaworks received the task to together develop a concept as a basis for a masterplan (FÖP) for the project area. The development took shape through a number of workshops arranged by the two offices in collaboration with the municipality around different urban themes. 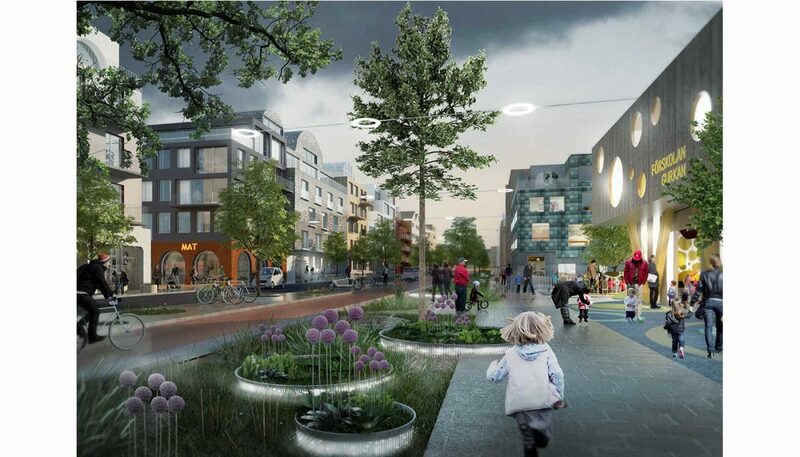 With the high ambition of Västerås City on sustainability in mind the visons and concepts was refined into a new stronger whole. 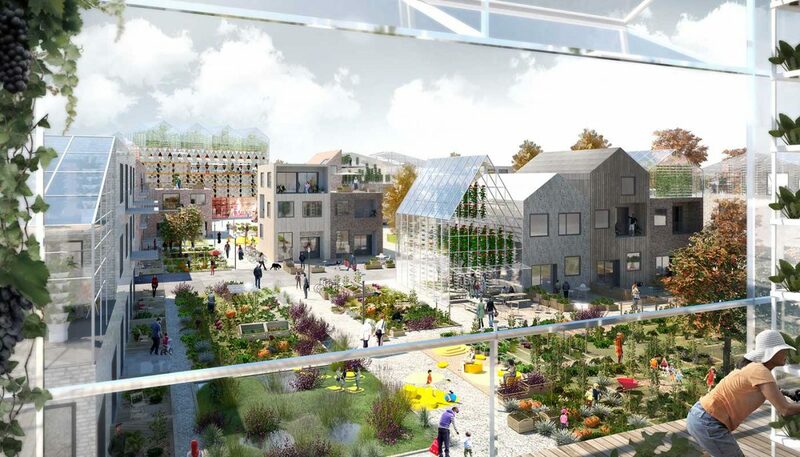 Urban farming, mobility centres, social inclusion and energy-plus-houses are some of the elements that have been woven into a firm structure of well-designed urban spaces. It shall be easy to live by sustainably in Sätra. 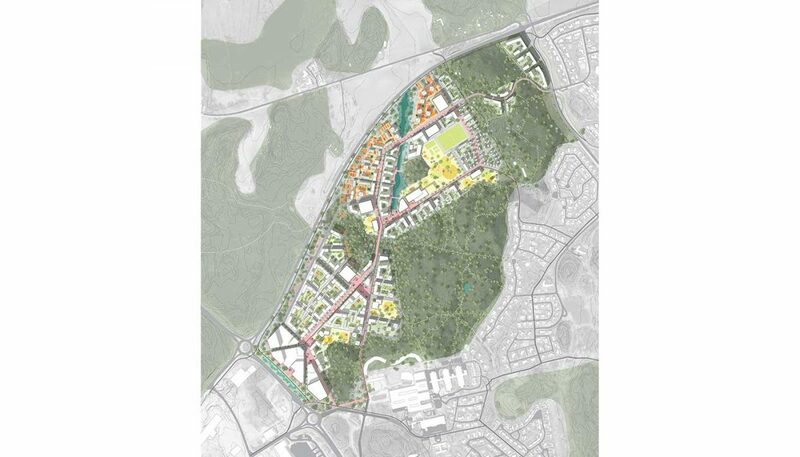 In the proposal, the built structure on the meadows and in the valleys, converges the area with neighboring districts while the hills are developed as natural parks and preserved as landmarks in the landscape. Around the main paths that connect the district with the neighboring areas, the main destinations are located, buildings as well as main public spaces. A flexible grid of neighborhood blocks in a small town scale allows the area to grow over a long period of time with a variation of building typologies. The block proportions allow apartment buildings to be mixed with terraced houses, semi-detached houses as well as villas, in an open and flexible structure, where builders and local initiatives can make their mark on local neighborhoods and specific buildings.